Bundle up, baby! No matter what the weather is outside, it’s a good time to talk about selling bundles on Amazon and whether they’re a good fit for your FBA business. 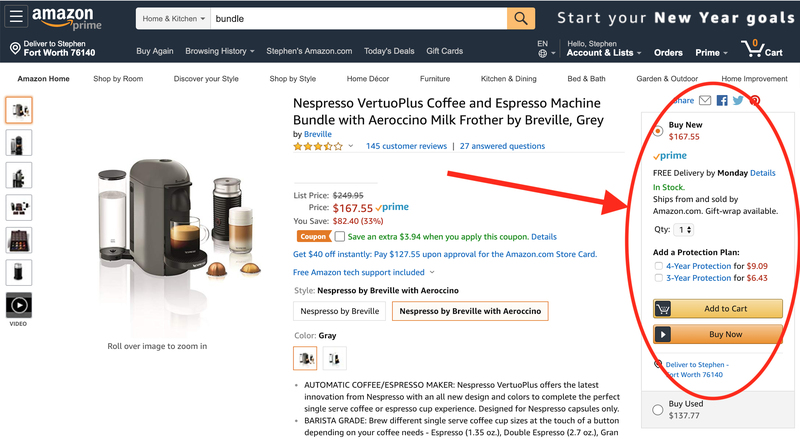 In the bulk of this blog post, I want to walk you through why you should consider adding bundles as an Amazon FBA profit strategy to differentiate yourself from other sellers. But before we get into that, I want to define bundle for you. What is a bundle on Amazon? A bundle is a combination of two or more complementary products sold together on Amazon on one ASIN, as one item. For example, you could create a bundle of 6 or 7 unique kitchen utensils to sell together on one ASIN. Remember, the items should be complementary. 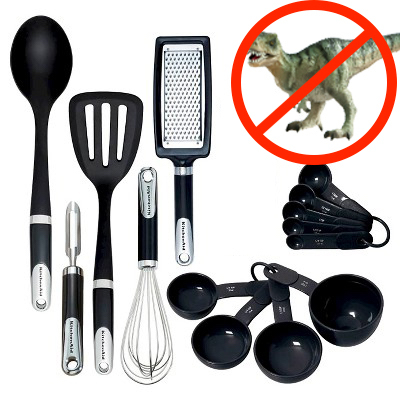 You shouldn’t have 7 kitchen utensils and 1 random dinosaur toy (unless in some weird way the dinosaur toy complements those kitchen utensils). Note: A bundle is not a multipack. A bundle consists of complementary, different products. A multipack consists of multiples of the exact same product sold together on one ASIN, as one item. Before you start creating and selling bundles on Amazon, you need to read up on Amazon’s most current guidelines on bundles, which you can find by clicking here. This is a huge reason to start selling bundles on Amazon. If you’re creating unique bundles, you own the buy box. There is no competition if you create a bundle that is unique enough other sellers cannot copy it. Back to our example of the kitchen utensil bundle – you would want to have several unique utensils, but you could also include a set of 10 unique recipes in your bundle that no one else can copy and include in their bundle. You essentially eliminate your competition in this way. Having a high ASP (average selling price) for your items on Amazon is a great way to lower your fees and increase your disbursements. (Side note: If you want a free download explaining important Amazon acronyms like ASP and others, you can click here.) 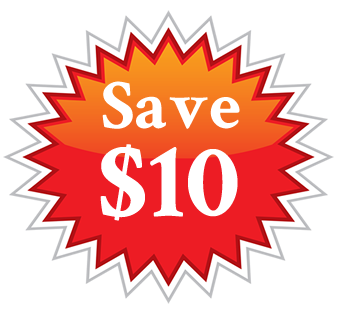 We have a blog post detailing the reasons why increasing your ASP is a good idea, but here is the basic premise behind the concept: It’s more efficient and profitable to sell 1 item for $100 than to sell 10 items for $10 each / $100 total. I don’t know about you, but I love to find ways to make my business more efficient and profitable! A top reason customers come to Amazon to shop is because they love the convenience — and they love finding ways to make their shopping even more convenient. Imagine a parent coming to Amazon to buy birthday party supplies for their kid’s Teenage Mutant Ninja Turtle party next week. 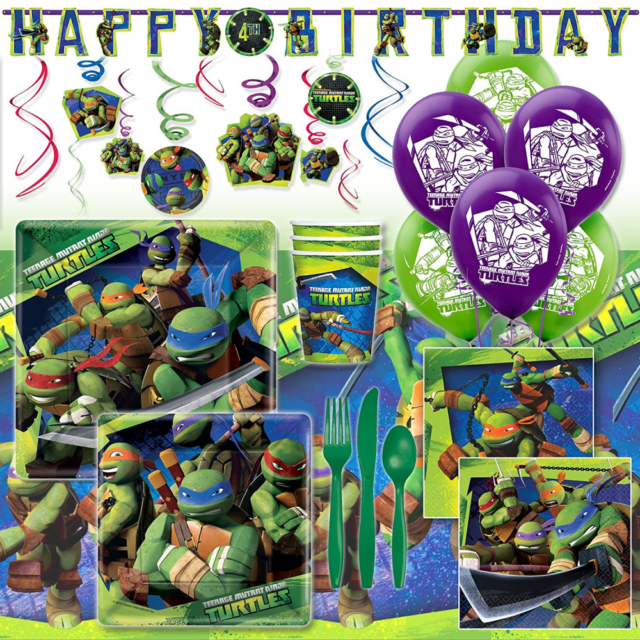 As an Amazon seller, you could provide added convenience and value to this customer by putting together a birthday party bundle, including everything needed to throw an awesome TMNT party – decorations, paper goods, party favors, wrapping paper, you name it. 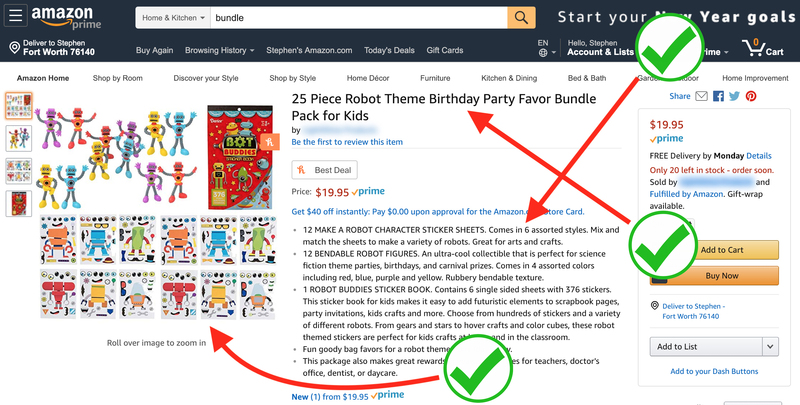 This is just one example of the many ways you can make shopping even more convenient for your Amazon customers by putting together bundles that eliminate their need to search for each individual item. Bundling items to sell on Amazon works for all types of sellers, no matter how you source your inventory: retail arbitrage, online arbitrage, wholesale, or private label. It doesn’t matter where you are sourcing your items for bundles, so long as you can find enough of each item in the bundle to make it worth your while to create a listing and sell multiple units of the bundle. Again, your goal here is to source unique items that will set you apart from the competition, and this strategy works with numerous types of suppliers. I’ve lost track of the number of times I have found a great RA item to sell, but the photo on the Amazon listing is horrible or the description is full of typos and poorly written. Sure, you can try to fix these types of issues on listings once you have an item in stock, but sometimes it is difficult to make these types of edits if you didn’t create the listing. When you’re creating bundles, you are also creating the listing – which means you have control over the photos, the title, the description, the bullet points, etc. You can control just how awesome the listing is for your bundles, which means you have the potential to gain more traffic and more sales. A replenishable (sometimes called a replen) is a product that sells often enough that the seller must continually restock again and again. 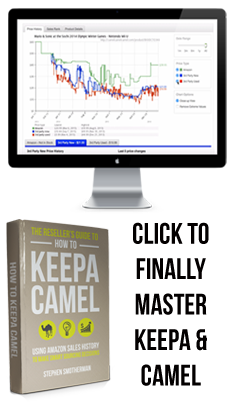 One of the best ways to make good money on Amazon is to find a profitable replen, but finding them in retail or online stores can be harder than it sounds. Instead of finding one, maybe you could make one with a bundle. Imagine continually selling your bundle over and over and having to replenish your inventory again and again because it just keeps selling. Creating a replenishable bundle could be a gold mine of Amazon sales. Bundling isn’t for everyone – it takes time and creative energy to make stellar bundles and their listings, and not everyone selling on Amazon wants to invest their time and energy that way. 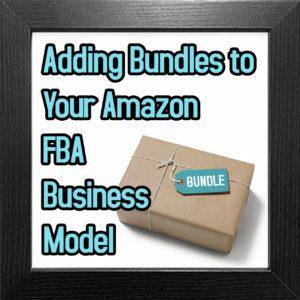 But bundling can be a profitable addition to your Amazon FBA business if done correctly, so it’s worthwhile to consider whether bundles are a good fit for you. One final note: As stated above, I highly encourage you read Amazon’s guidelines for bundling before you dive in. Bundling is not against the Amazon terms of service; in fact Amazon encourages the creation of bundles – but you must follow their rules for bundling, or you risk having your listings deactivated. 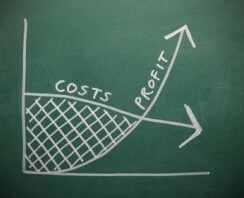 Stay tuned for our next blog post, where I’ll give you my top tips for how to create high-quality, profitable bundles. 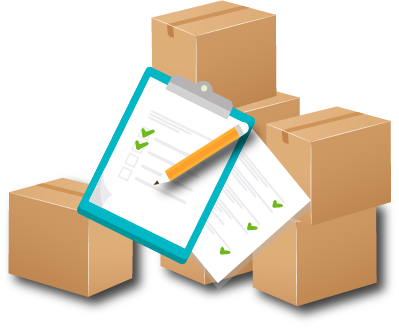 In the meantime, do you have any questions about bundling items to sell via FBA? I would love to hear your thoughts in the comments below. Keep reading for a limited-time coupon code! I once thought that creating bundles was not a good use of time, but after I read The Book of Bundles: A Guide to Creating and Selling Bundles on Amazon by Anita Breeze, my mind was opened to the profit possibilities bundles offer Amazon sellers. In her book, Anita showed me why some bundles sell frequently and why some are duds. The book opened up my eyes on how to create professional looking photos without having to be a professional photographer. The Book of Bundles also showed me how to find the most relevant keywords customers are using to search for the bundle I want to sell. 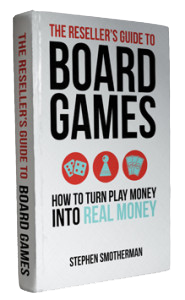 With step-by-step instructions for those who are new to bundling, as well as advanced tips for more seasoned bundlers, this book is filled with profitable strategies and suggestions on creating fast-selling bundles on Amazon. Anita even simplifies and explains the sometimes confusing step of getting UPC exemptions for bundles. On top of that, The Book of Bundles includes a list of 35 wholesaler suppliers that are great for creating bundles for both USA and Canada! 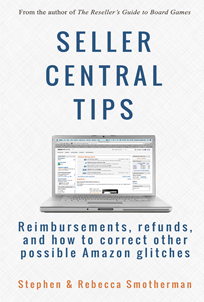 Seriously, this book has it all for learning how to get started with creating profitable bundles on Amazon. Right now, Anita is offering the readers of Full-Time FBA a money-saving coupon code to get her book, The Book of Bundles, at a super low price. Use the coupon code FULLTIMEFBA and you will save $10 off the cost of the book. Seriously, the book is worth the full price, but this code makes the deal even sweeter! The code is FULLTIMEFBA. Try again with that code. Perfect timing with your post. I just recently acquired some wrapping paper from a local retailer and noticed that several coordinated well together and wondered if I could put them in groups of 3 (each one having a different pattern but using the same colors) instead of selling them individually. I am working on my first shipment now; ……..from what I read I will need to shrink wrap them together with a new UPC code and a “Sold as a Set” sticker. Do I need to add the suffocation warning as well? Does the new UPC go on the shrink wrap or do I put it over the old bar codes on the original packaging? Shrink wrap, does not need a suffocation warning, and you’ll need to cover over the individual UPCs after you shrink wrap it. You need a new UPC to sell the item on Amazon, but the actual item does not need a new UPC sticker on it as long as you have your FBA FNSKU label on it. 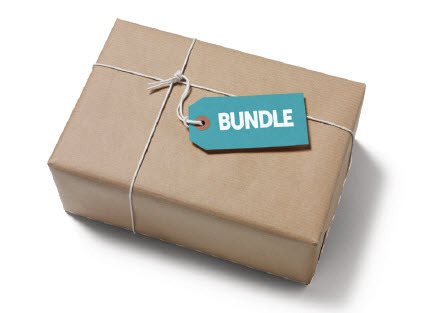 For more on bundles and how to sell them on Amazon, check out: http://www.fulltimefba.com/bundlebook. It will answer your questions on what to do next. UNIT PRICE is $0.56 per individual unit. To sell a bundle on Amazon, your bundle needs it’s own UPC. You can buy UPCs from reputable websites (I use barcodestalk) and then use that UPC for your bundle, but to be allowed by Amazon to do that, you need to ask for a GTIN exemption to be allowed to use your own UPC. The Book of Bundles walks you through all the steps to make it happen: http://www.fulltimefba.com/bundlebook Use code FULLTIMEFBA to save $10.